What struck me about William Byers’s photo and the unusual angle and locale in which it is taken is the degree of difficulty in sighting these big Group 7 sportscars through the corners. Admittedly Bob was a ‘short-arse’- mind you there was plenty of bounce in every ounce- but I bet the problem was the same for tall fellas like Dan Gurney. 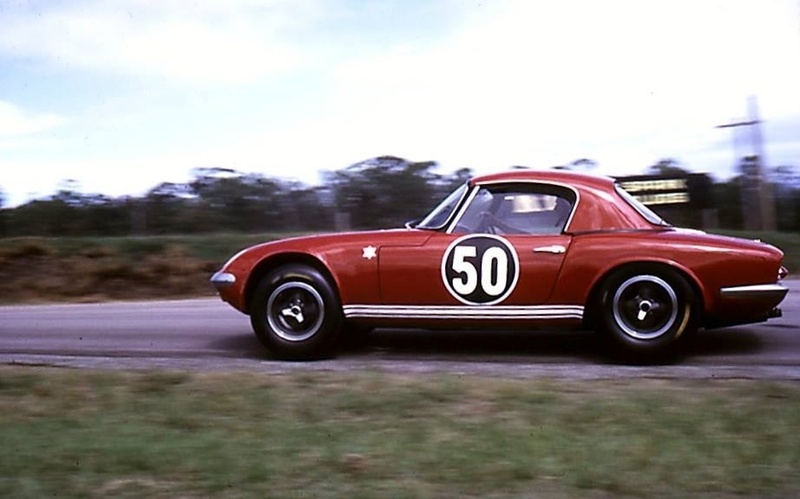 Who won the sportscar races that day- had Matich debuted the SR3 at this point?, it certainly raced at the Farm and Sandown Tasman rounds that summer- Frank would certainly have given Bob a run for his money if present. The top-guns of the meeting were the Tasman 2.5’s of course. 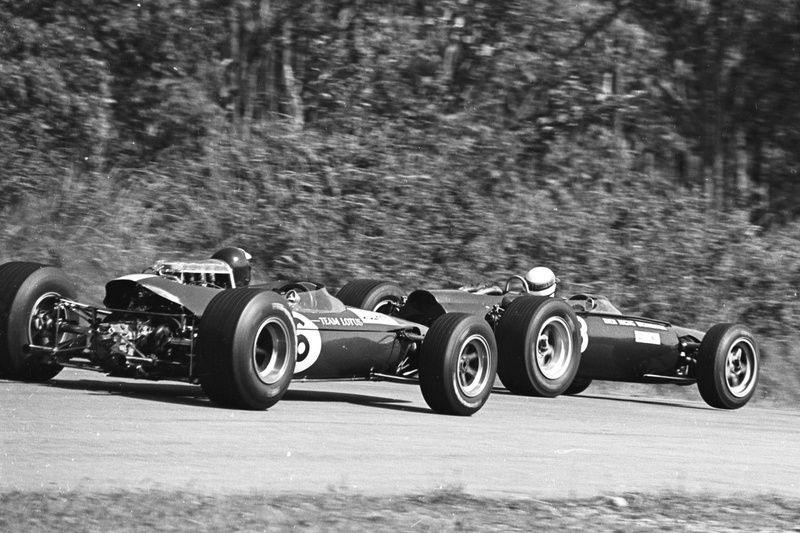 We have photos of second placed Jack Brabham, Brabham BT23A Repco ‘640’, (above and below) Denny Hulme’s similarly engined fourth placed Brabham BT22, sixth placed John Harvey in the 1.65 litre Ford twin-cam powered ex-Stillwell Brabham BT14, and Spencer Martin’s Bob Jane owned Brabham BT11A Climax but not Jim Clark’s victorious Lotus 33 Climax FWMV 2 litre V8- he won five of the eight Tasman rounds that year. A pity, but hey, let’s be thankful for some marvellous photos. 1967 was the Tasman Series Repco had a red-hot go to win, two cars, one each for Denny and Jack with both drivers contesting all eight rounds- but the might of the F1 World Championship winning team did not triumph over Jim Clark and the very reliable, fast, special 2 litre FWMV Coventry Climax engined Lotus 33 of the Scottish ace. In 1966, 1968 and 1969 Repco had limited Tasman campaigns, 1967 was the one they should have won, you might say, I’ve covered this series before, so no point repeating the many problems which cost the Maidstone outfit dearly. Arguably the most important aspect of the Tasman for Repco was to blood their new for 1967 F1 engine- the 740 Series V8- in advance of the GP season, than win the series itself. In the event Repco’s Norm Wilson designed 700 Series block was not quite ready so Jack and Denny raced with ‘640 Series’ motors- the new 40 Series, exhaust between the Vee two-valve heads and 600 Series (Oldsmobile F85 modified) blocks. 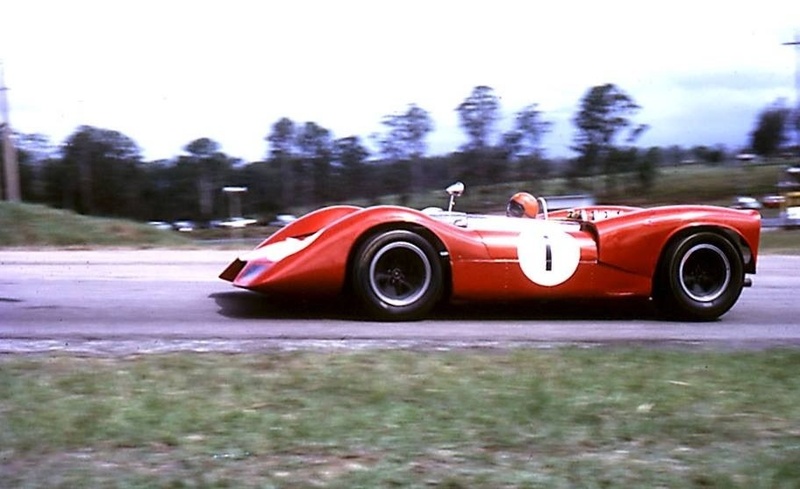 Denny had a rather successful 1967 season didn’t he!, taking the F1 drivers title and finishing second to Bruce in the Can-Am Championship aboard one of McLaren’s M6A Chev papaya coloured machines. 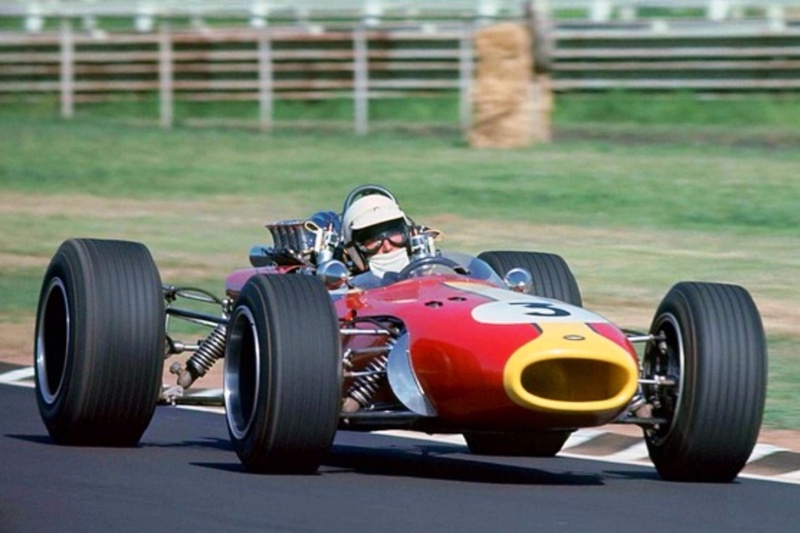 The car above, a BT22, is essentially a BT11 frame fitted with BT19 suspension- Allen Brown writes that ‘F1-1-64’ was used by BRO until Denny’s F1 car for 1966 BT20 was ready. Fitted with a Repco-Brabham V8, it was raced by Denny in the Tasman and then sold to Rorstan Racing, who fitted a Coventry Climax FPF 2.5 and ran Aussie Paul Bolton in it, it’s present whereabouts is unknown. Jack’s BT23A was built on the redoubtable BT23 F2 jig/frame. BT23A has never left Australia thank goodness, and been very much in the news in the last twelve months with its acquisition by the National Motor Museum from Peter Simms who restored and then raced the car for decades. It’s post Brabham race record was with Scuderia Veloce, the car driven by Greg Cusack and Phil West before being sold to Brian Page. 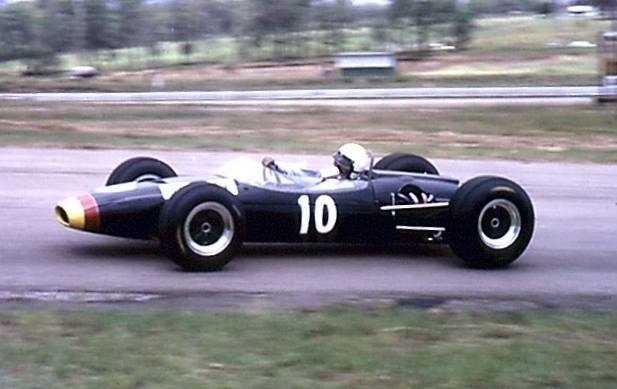 John Harvey (above) drove the wheels off this ex-Bib Stillwell car, the first BT14 raced ‘FL-1-65’, then owned by Sydney car dealer Ron Phillips in 1966. Prepared by Peter Molloy, the Brabham BT14’s Lotus-Ford twin-cam engine progressively got bigger and not too long after this shot the car was given ‘a birthday’, it was the recipient of a Repco-Brabham 640 Series 2.5 litre V8 fitted with the assistance of Rennmax’s Bob Britton, allowing Harves to run with the ‘big boys’. 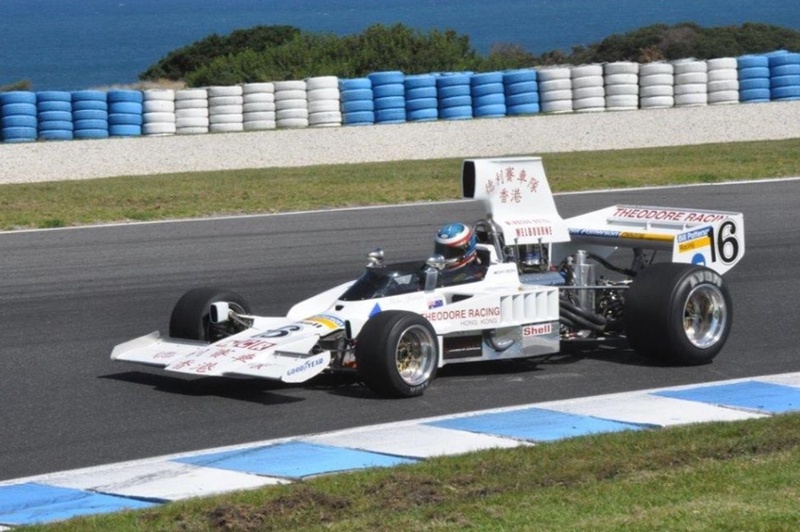 In fact the combination is sorta related to Spencer Martin’s Brabham BT11A shown below. 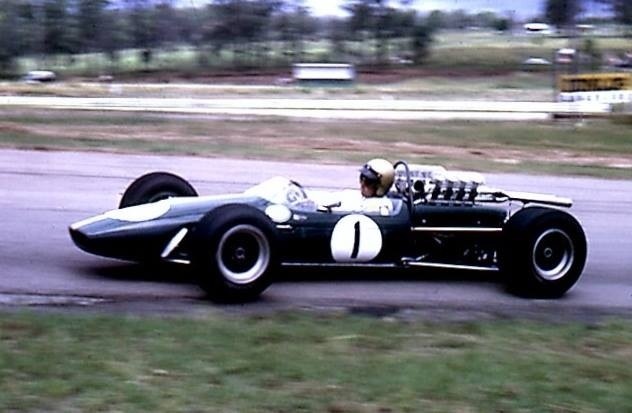 The very gifted Sydneysider won both the 1966 and 1967 Gold Stars aboard this Bob Jane owned Brabham BT11A ‘IC-4-64’ Coventry Climax FPF- his dices with the similarly mounted Kevin Bartlett in Alec Mildren’s car were highlights of racing for enthusiasts of the period. 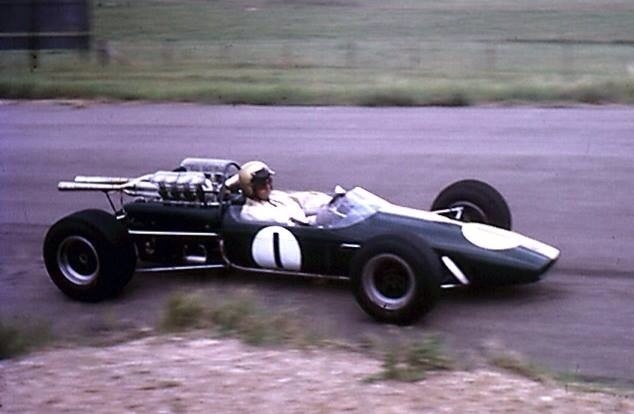 When Spencer decided to retire at the end of the 1967 Gold Star campaign Jane offered Harves the ride, and acquired the Brabham BT14 from Phillips. 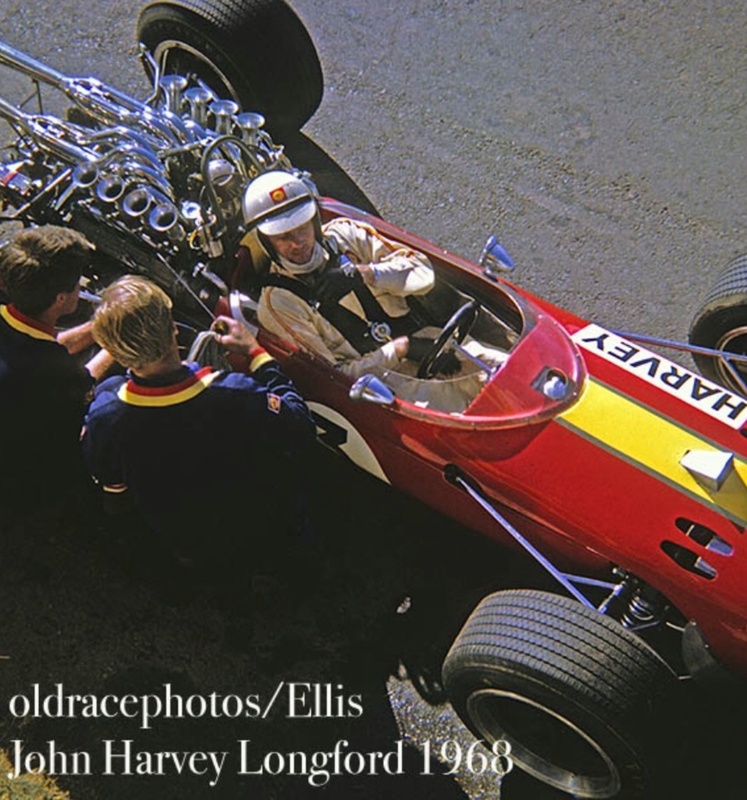 It’s 640 engine was fitted into the BT11A- like the BT14 it was not designed for a V8 motor, and raced by John in the 1968 Australian Tasman rounds. 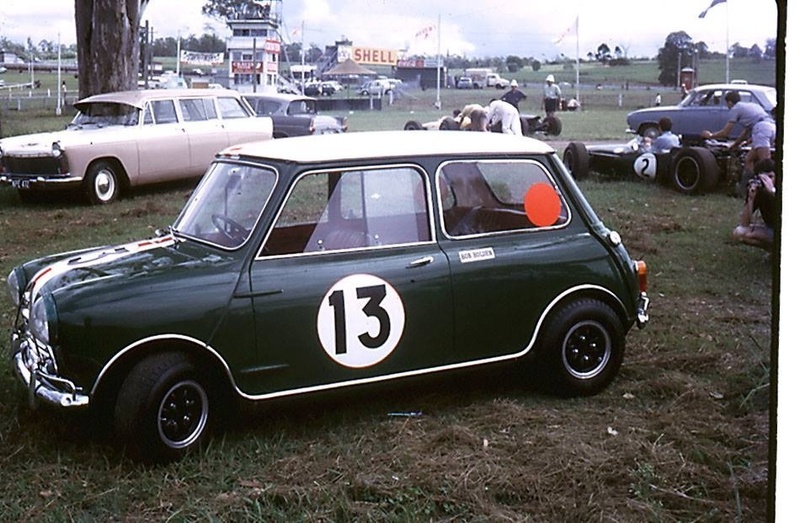 Jane then bought Jack’s 1968 Tasman mount, the BT23E at the series end for John to race in ’68 with Harvey very lucky to survive a huge shunt at Easter Bathurst in that car after a rear upright failure. 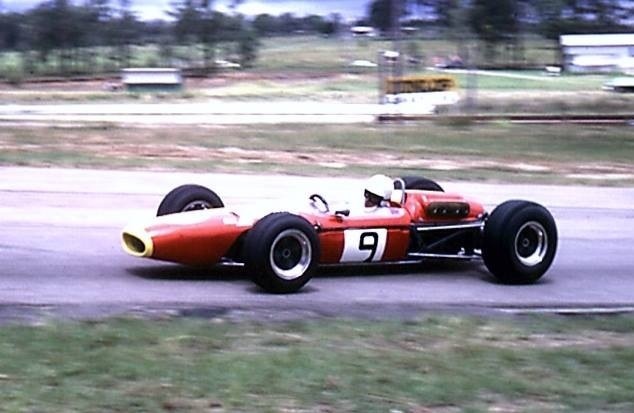 Harvey and Molloy had largely sorted the BT14 Repco by the end of the ’67 Gold Star, he had won a feature race in it at Oran Park. It does make you wonder why Bob didn’t race that car as it was rather than do the engine swap they did and develop the BT11A afresh- no doubt it all made sense at the time?! The Jane Estate owns BT11A, the BT14, re-engined with a Ford/Lotus twin-cam is i think still in Peter Harburg’s hands in Australia. William’s camera also captured some other interesting cars during that meeting. Bill Gates superb Lotus Elan 26R, Ross Burbidge tells us Gates raced both this car and an Elan Series 1, both of which are still alive and well in Australia. Ex-Geoghegan car originally? 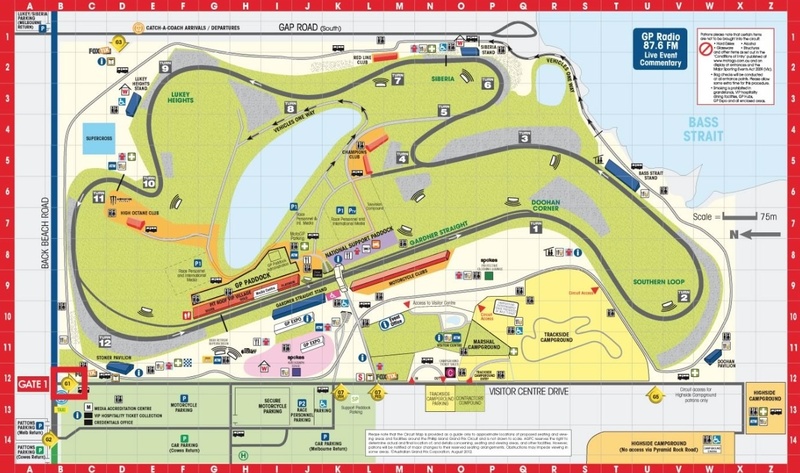 Queenslanders will know the story better than I but its said that race promoter Bill Goode had the Bee Gees, the Gibbs brothers, performing between events at his Redcliffe Speedway and introduced them to Bill who promoted them on his radio show on 4BH Brisbane thereby assisting them in their climb to global success. Ross Burbidge says this is the last time Pete Geoghegan ran his first Mustang at Lakeside. 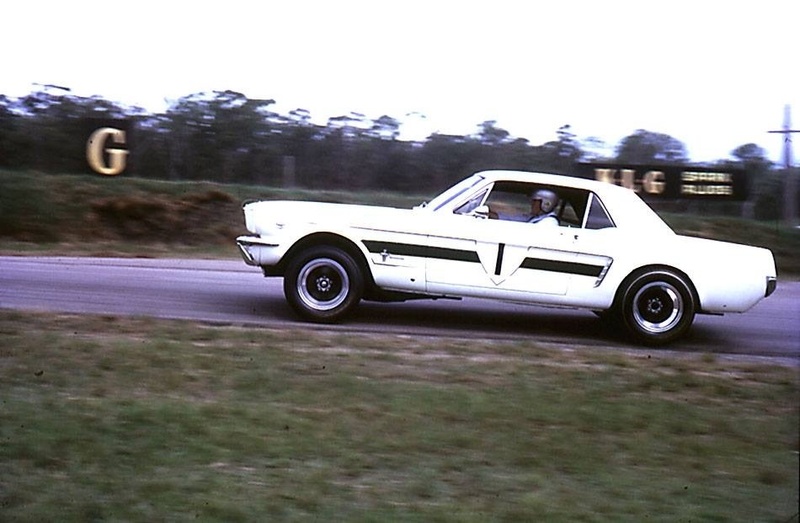 He won the 1967 one-race Australian Touring Car Championship in the Australian, John Sheppard built, Mustang ‘GTA’ back at Lakeside on 30 July 1967 from the Brian Foley and Peter Manton Cooper S’s after various of the other V8’s fell by the wayside with mechanical dramas. The shot above is on the entry to ‘Hungry’ or then KLG corner. Bob Holden won the 1966 Bathurst 500 in a Series Production Cooper S, co-driving the works BMC Australia car with rally-ace Rauno Aaltonen. 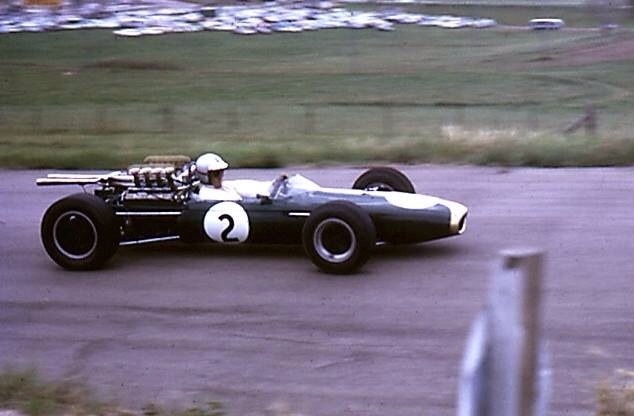 In the background Denny’s Brabham BT22 is being pushed past with perhaps the light coloured car Frank Gardner’s Mildren Racing Brabham BT16 Climax? Crank up the volume, their is nothing quite like 5 litres of highly tuned fuel-injected Chevy. Very interesting looking at the smoothness of a top-line pro driving one of these beasts at lap record pace. It looks deceptively easy?! Not! The footage is at the Phillip Island Historic Meeting in March 2015.